Today we looked at plates made from sketchbooks of the old master draftsmen (Rubens, Poussin, Da Vinci and Dürer to name a few) and talked about their methods. Looking at their notebooks and seeing these experimental studies, one becomes overwhelmed by their genius. 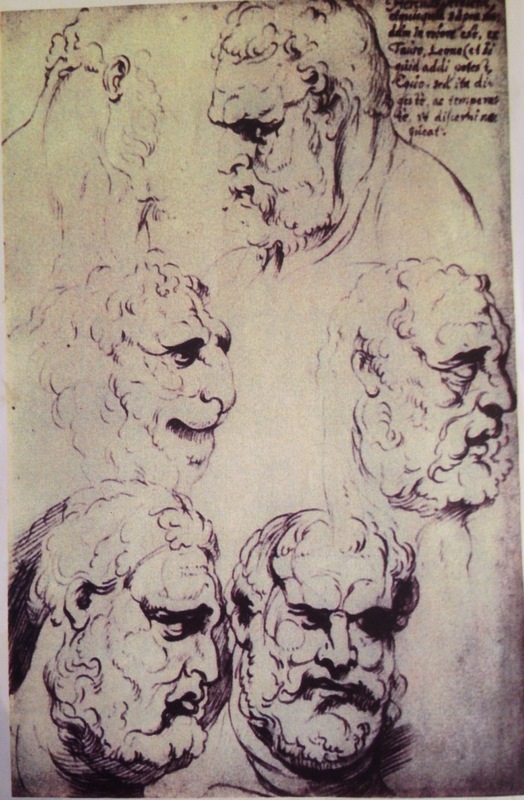 Here is Rubens’ study grafting a lion to a man’s face to make him look more courageous. This face would become Hercules. 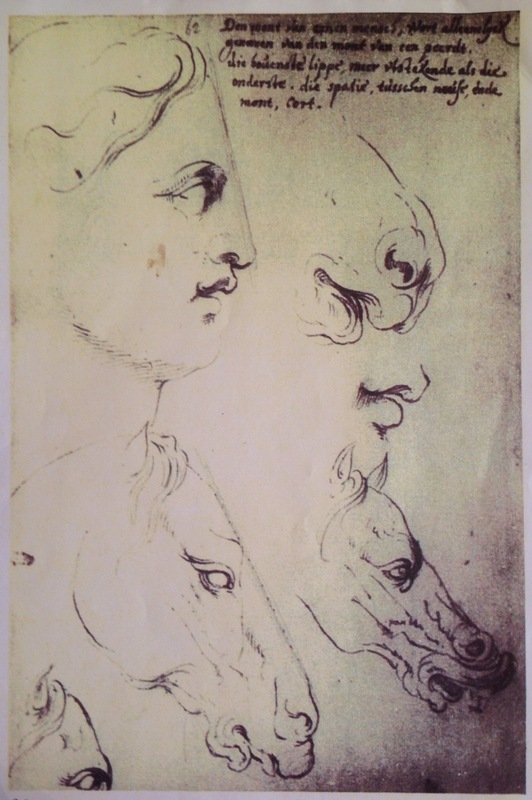 And in this one, a horse’s face is grafted to a man’s to emphasize nobility. Juliette narrated that the time these guys were living was on fire. Everything was happening and they were into everything. Artists were tapped for all manner of commission. Michaelangelo was asked to design a snowman. They had Botticelli designing Halloween costumes for a festival. Looking at these notebooks, you really come to understand more about the artists’ thought process, they begin to feel more alive and accessible through the sketches. I haven’t ever seen anything like that. Fascinating.